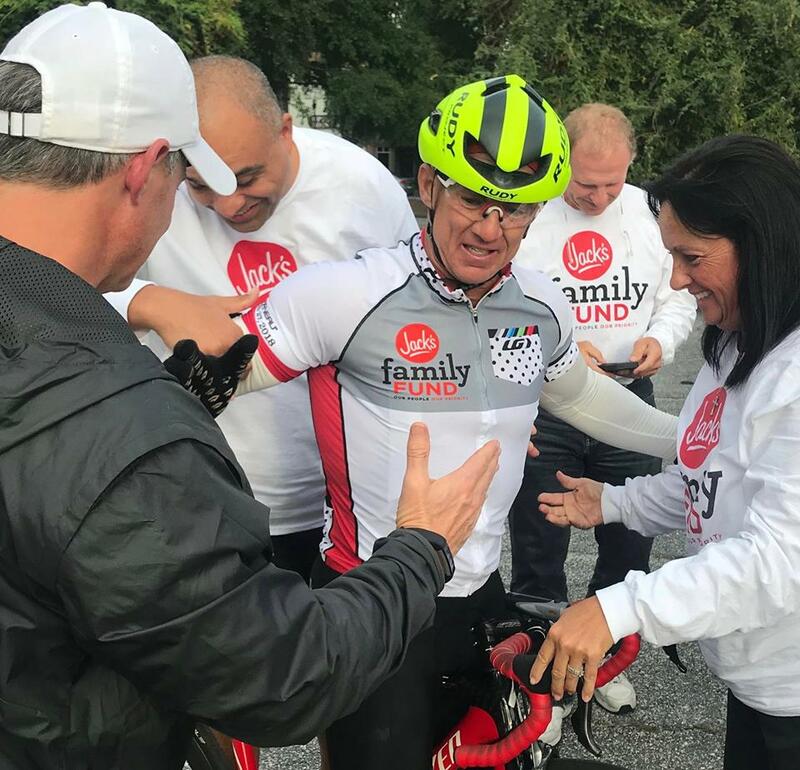 Taylor Kitchens shattered records October 27, 2018, when he rode from the Alabama-Mississippi state line to the Alabama-Georgia State line. He completed the 221 mile ride in only 11 hours and 47 minutes. Kitchens now holds the record for male cyclists age 50-59. The previous record was 12 hours and 10 minutes. Just as impressive, Kitchen’s ride raised $41,813 for the Jack’s Family Fund. Congrats Taylor! And THANK YOU to all who supported him.